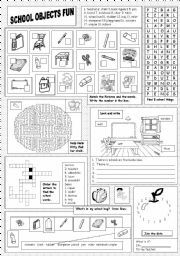 I am continuing with my "mini-task" worksheets. Thanks so much for all the positive comments on the first ones I posted yesterday. 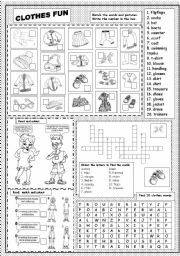 This one is about clothes and includes 5 little tasks --a matching exercise, read and colour, read, match and colour, a jumbled letters crossword and a mini wordsearch. Hope you find it useful. 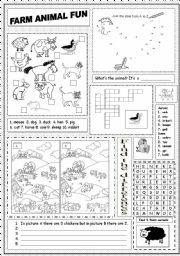 Number fun 10-20 has 7 minitasks -- colour by numbers, read and colour, wordsearch, write numbers and words, sums, count and write and a matching exercise. 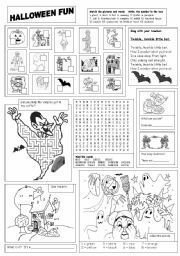 I really hope it is useful and that your students enjoy it. Thanks for the lovely comments on my other work. Big hugs to you all. 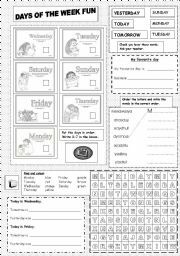 This is another minitask worksheet. The subject is weather. 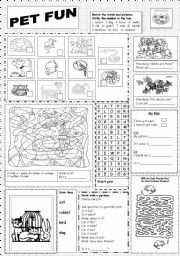 There are 5 little tasks to do--matching, maze, writing, read and match and a wordsearch. I hope you like it. Thanks for the lovely comments and messages. 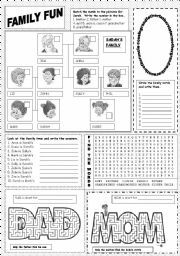 A minitask sheet on pets. 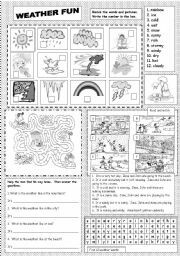 There are 7 tasks -- matching 2x count and write, colour by letters and write, guessing game, my pet writing, draw lines, wordsearch. I really hope it is useful. Big hug. Students look at the moving images (with sound effects) and describe what the people/animals are doing using present continuous. Sorry it is in 2 parts it was just too big. Second part of the powerpoint to practise present continuous. 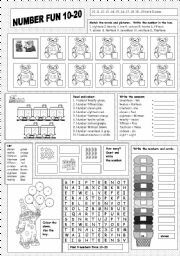 Students look at the pictures and describe what is happening using present continuous. Hi. Here is a powerpoint based on the health problem vocabulary from the Touchstone 2 book which I am using with my students. 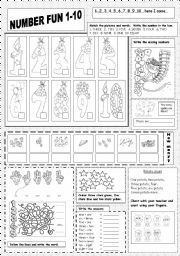 But it is easily adapable for health/illness lessons.